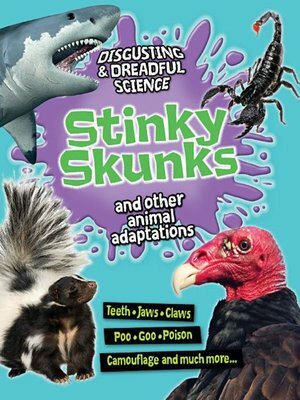 If you were a hungry coyote, would you brave a skunk's stinky spray for a meal, or would it leave a bad taste in your mouth? Many animals have survival techniques that offend the senses or strike fear in the hearts of predators. From deadly defences to revolting eating habits, this interesting book describes the disgusting and frightening survival techniques of animals. Get your hands dirty, too with some easy (and painless!) experiments.